Some actor are meant to bring life in to the fictional characters and make them feel like they exists for real. While the characters of fantasy series like Harry potter or LOTR are obviously Imaginary and can only be Imagined, there are some that borders on reality and possibility of existence. 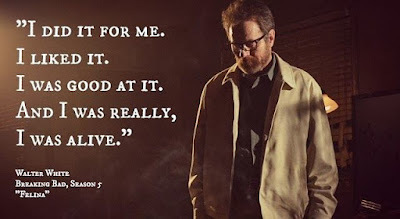 One such series is Breaking Bad that gives us a protagonists or antagonists, whichever way you call him, who, when confronted with eminent death, turns to illegal ways in order to secure his family's future but then started liking it. 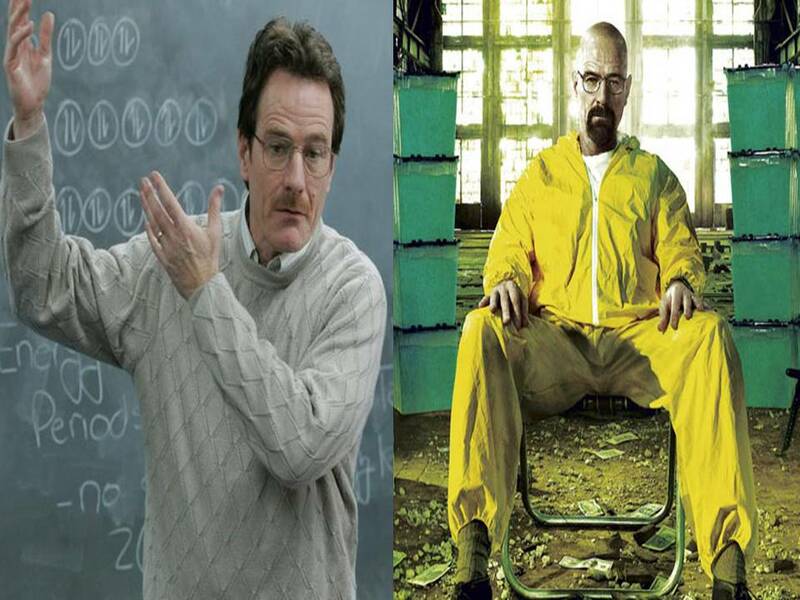 From a Simple chemistry teacher 'Walter white' to Drug Kingpin 'Heisenberg'. Breaking Bad is a TV series that focus on a character who after being diagnosed by the terminal cancer, the mild mannered school teacher gets turned in to a ruthless criminal mastermind and Drug lord. What started out as a quick money making route before dying for Walter White ended with him building an entire drug empire, so big that he himself states that it could be listed in Nasdaq. What's interesting and at the same time, disturbing about the character is, that as he gets deeper, he becomes more heartless, his fear from threats to his family are always dealt by him with someone's death. 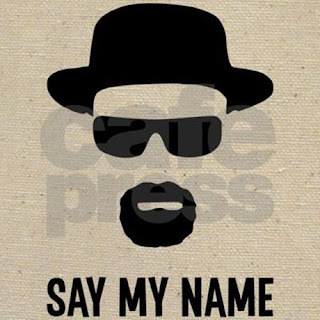 The pseudo name Heisenberg, becomes a known name around the Drug cartels or underworld, Such that although not everyone has seen the Heisenberg, the name stroked fear. 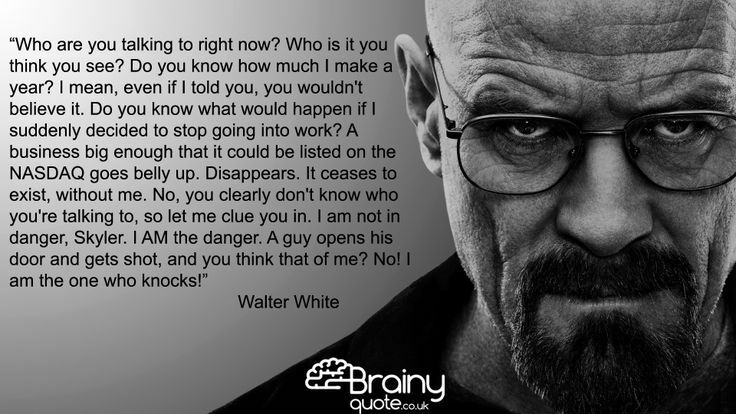 Bryan Cranston's portrayal of Walter White is spot on, he makes you feel sorry and completely root for the guy. At the same time, he makes you doubt his morality like in scenes when Walter white aka Heisenberg is striking fear, even when he is talking to his own family or friends. Few such scenes are the ones against his wife, "I am not in Danger, Skyler. I Am the Danger. A guy opens the door and gets shot and you think that of me? NO! I am the one who Knocks!" or the one against his own lawyer, who wants to get out of the business and he replies,"You are out, when I say You are out" or the one in final part of the series against his own confronting DEA Brother-in-law,"...Thread Lightly." and many such iconic dialogues that has now become famous Quotes. The show is critically acclaimed and so is the character, with Actor Bryan Cranston winning numerous award (total four Prime-time Emmy Awards from five seasons of shows) so is the show. What's interesting about the show is at the end it shows, 'Karma catches up with you eventually'. Also the most interesting and to some extent influential part of the character or human behavior is, when a man is pushed to a brink of his end, the fear of being 'nothing' entire his life and failing his family can make him look for more, take risks in new ventures and try his best. And that is when he follows his heart and does what he feels he is really good at. 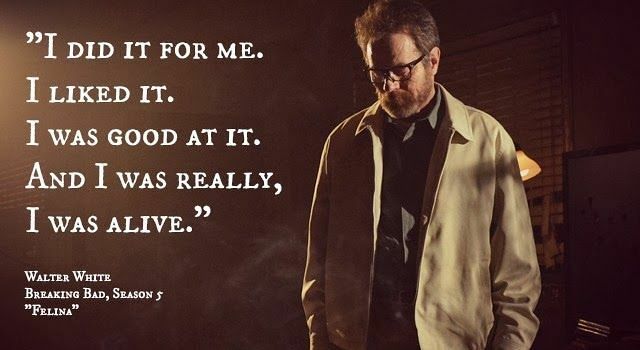 But the thread of Right and Wrong is what holds him, and in case of Walter white he didn't care about the line. What went wrong with Walter white is he started to feel proud of work. Being the best in it, despite being provided with numerous opportunities to get out, he stays. As he admits it that he liked it and he felt alive. There are many other such characters that are equally awesome and amazingly portrayed but for me, right now, Walter White with his trademark Black glass and Black hat with Black coat as Heisenberg, stands on top. P.S. Inspired by Indibloggers IndiSpire 119 topic. Give your opinions about it.